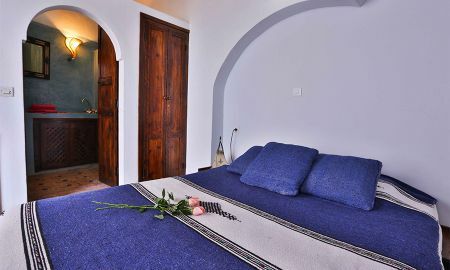 The blue and the white of this room point out the old Mogador colors of Essaouira. This room includes a bed for two people with a bathroom equipped with a shower and a WC. This room includes a bed for two people and a single bed for one person, a bathroom equipped with a shower and a WC. 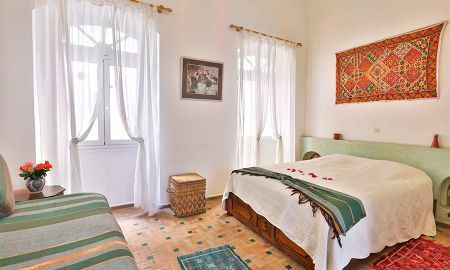 The characteristics of this room are the tiles that we find on the walls as well as the pieces of furniture which are reflected in a very simple Berber lifestyle. This spacious room is equipped with a bed for two people and a single bed for one person with a large bathroom including a bath-tub and a WC. The name of this suite comes from the origins of Moucharabieh which ornament the pieces of furniture. 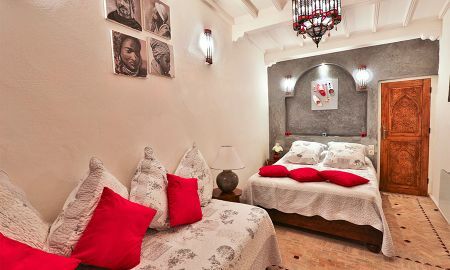 This suite is made up of a room equipped with a double bed, a living room containing 2 sinlge beds and a bathroom including a shower and a WC. 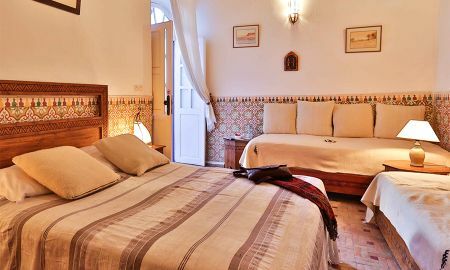 Deep in the heart of the Old City of Essaouira, hidden away in a little derb, Riad Ayel of Essaouira invites its guests to make the most of the serenity of this ancient dwelling, recently renovated throughout in the purest Moroccan style to European levels of comfort. 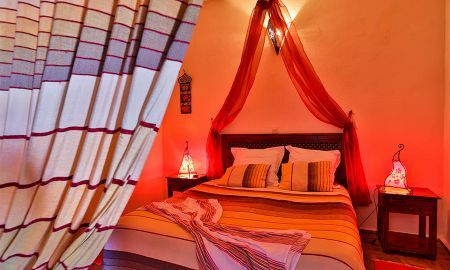 Centrally located, Riad Ayel of Essaouira is just five minutes from the harbor, the beach, the souks and the hustle and bustle of the Old City yet it is a haven of peace and tranquility in its sheltered little alley.